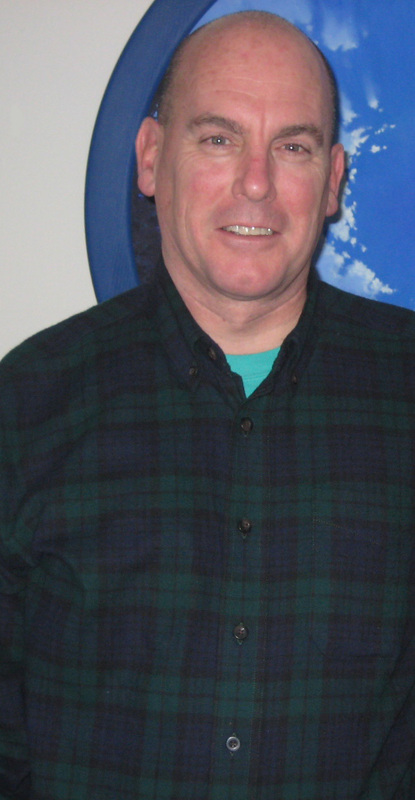 I grew up in a small coastal town on the South Shore of Massachusetts, in an area called Crow Point. A wonderful community unto its own, Crow Point is an area full of many views of land, water, and sky. The Boston skyline can be seen in the distance and the wonderful reservation called World’s End is visible in the harbor half a mile away. World’s End, one of my favorite places to go, is one of endless inspiration and beauty. I attended the Art Institute of Boston in the early seventies majoring in Fine Art Painting and through the years I’ve taken classes and I’ve taught a few classes. I’ve always felt a strong connection with nature and her mirror of emotions. To connect emotions with visual imagery is a real joy…creating and sharing. 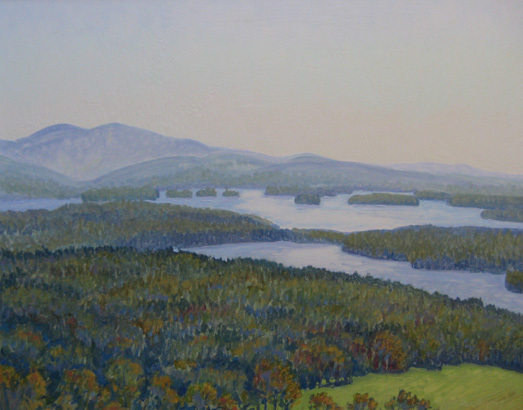 I have always been interested in land, sea, and sky as the focus of my art. I find answers and comfort working with these enduring elements even in the most difficult of times. To me, vast views of a solitary landscape, beaches, and moonrises bring peace of mind. 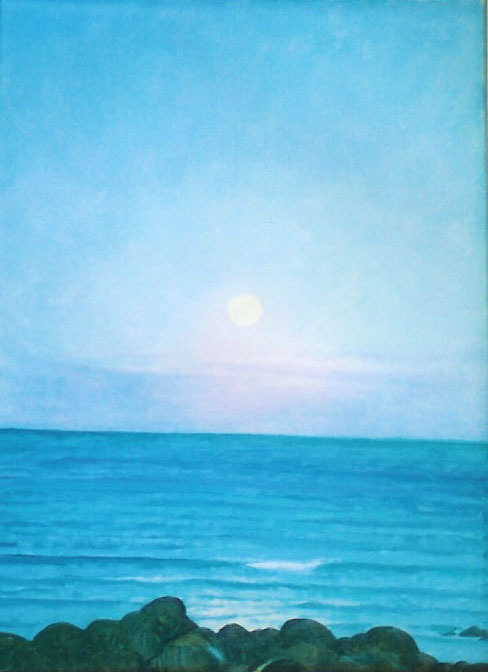 The work I create in my studio can simply be a memory of the moon over the water or the pulse of wind and waves. I work from memory using color notations and color studies. MySpace.com is a work completed this way in my studio. To create from memory is to use my intuition, and how I mirror power and secrets seen. This surreal work may be a thought or vision that speaks to me clearly enough for me to create it. Combining a daytime landscape with a night sky, such as I did in Found Peace and Searching for a New Idea, is comforting in its power and unpredictability. I also like to get away from the conventional canvas shapes and paint on a round surface creating an overhead perspective such as gazing at the moon and beyond. Thanks to carpenter friends of mine, building the frames for round paintings makes them possible, especially when they are 3 feet in diameter. The experience and joy of plein air painting (painting live on location) is truly a tenfold experience. It invites the freedom of having my easel and paints out for all to see, the freedom to create for all to see, and a child’s freedom of carefree expression. By being aware of the stream of nature’s beauty and the awareness that envelopes, the deeper I go and the more I see. My painting, Angel’s Play, is an example of letting go of control and becoming fully conscious, a medium, the physical connection between spirit and paint. That’s transcendence. Wonderful things happen when we’re not in control and just let go. It’s all about truth and trust. The light of day is constantly changing and to capture a scene sometimes takes knowledge and speed. One of my recent plein air pieces that I am quite fond of is Moonrise at Manomet Point. That was done in an hour and I believe I captured the scene in its majesty. 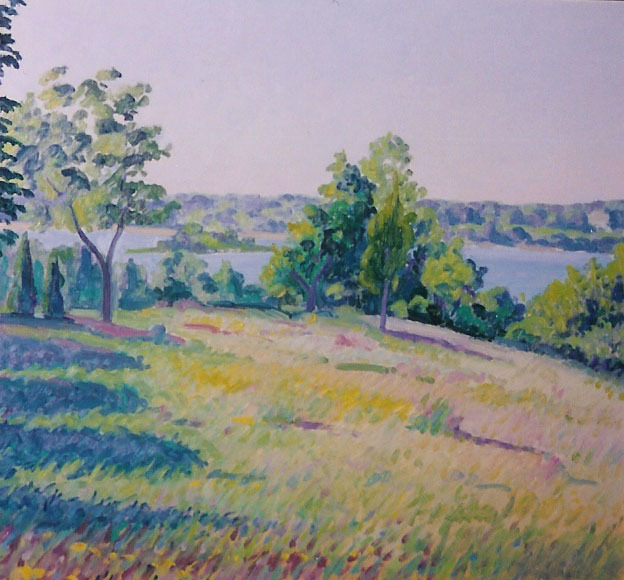 The colors of outside cannot be created out of my head so plein air is invaluable in its education. 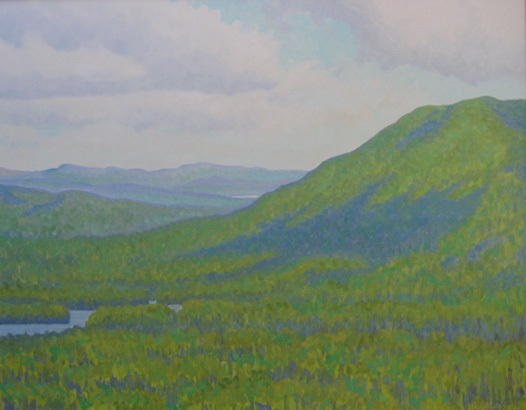 My Lake Winnipesauke piece, created at Castle-in-the-Clouds, consists of six panels: 5 measuring 24 x 30, the smaller measuring 18 x 24, totaling 12 feet. I completed panel #4 first then later I painted #6, and then the idea came to me to continue the entire scene. I put a panel between finished pieces making notations of horizons, land masses and the lake and returned to the site each season to paint another panel. The nature of unpredictability leads me to some of the collage work I do. I work with real images cut out and placed into opposing situations. The pictures used, being photographically real, challenge one’s vision, knowledge, and sometimes one’s sense of security. 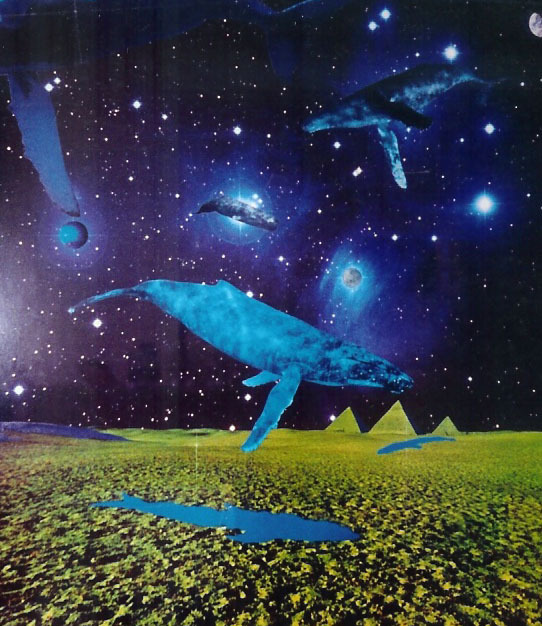 A Space for Whales is just wonderful pictures of whales floating safely in celestial space. 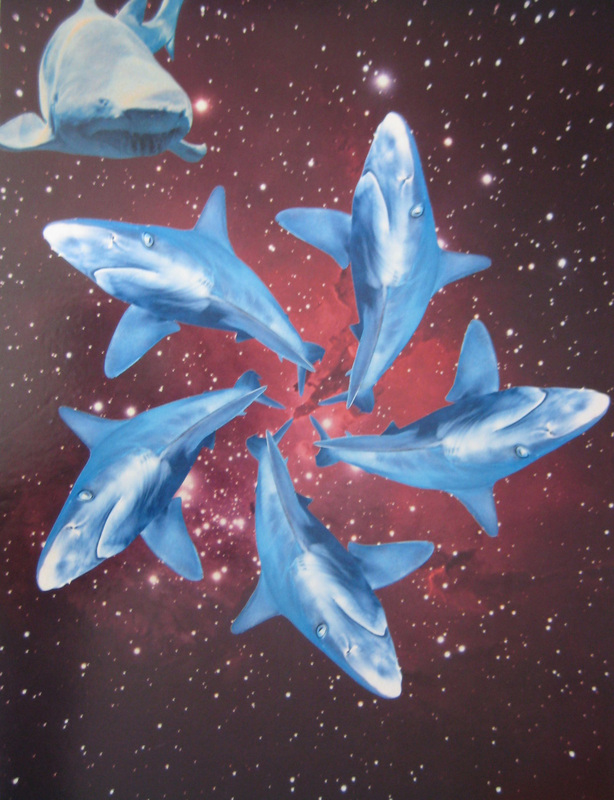 On the other side of the emotional spectrum, my collage, Divorce, is a mandala of sharks. Sharks represent to most of us, fear, anxiety, and threat. I used the image of Jimmy Hendrix in several collages. The collages of Hendrix are depictions of a much evolved musical artist in control of electricity, physically gone, but present in space. It’s a challenge in all art forms for anyone to do their art and expose themselves to the open forum of critique. Critique is helpful in learning and moving forward but in the end the action of creating holds the real freedom. I find the most important gift to myself is to keep working on my art even if life’s complications get too demanding, I’m always creating in my mind and I know that for me creating is very important.